I am pleased to welcome author, Gabrielle Kent onto the blog today. 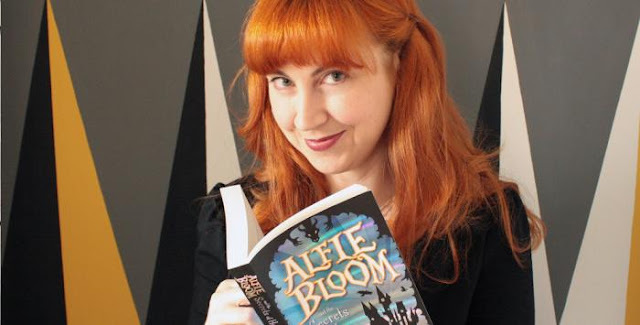 Gabrielle debuted this year with her Middle Grade novel, Alfie Bloom and the Secrets of Hexbridge Castle, which was published by Scholastic. Her novel was highly praised and thought to be an ideal for fans of JK Rowling, Enid Blyton and Roald Dahl. 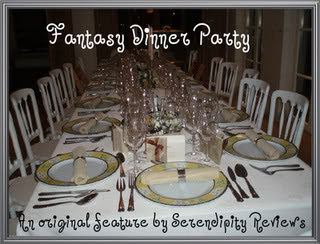 My dinner party would also have a fantasy feast and setting. I’d have the whole glorious table spread from the film Pan’s Labyrinth, but without the terrifying eyeball monster that chases you if you eat anything! I’d have a couple of guests from Hogwarts, so I’m hoping they could pick up some butterbeer for everyone, as well as some lovely sweet treats from Honeydukes. The party would take the form of a masquerade ball taking place in Doctor Who’s Tardis, and my guests would be a wonderful mix of some of my favourite characters and people. 1. 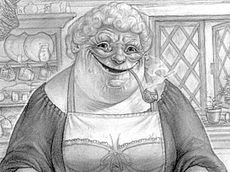 Nanny Ogg from Terry Pratchett’s Discworld books: Nanny would really get the party started with some of her home made scumble. Pretty soon everyone would be listening to her racy stories and singing along with her dirty songs. 2. 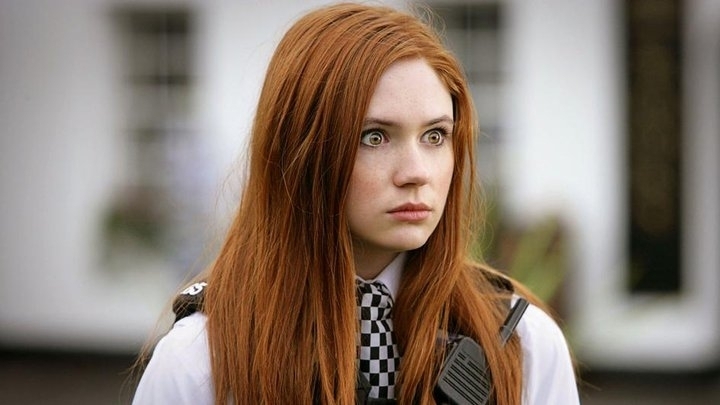 Amelia Pond from Doctor Who: The girl who waited would be the perfect person to have on hand should any supernatural or alien trouble arise. I’d love to hear more about her adventures with doctor, and maybe between courses she could take the Tardis on a trip through time so that we can watch the birth of the universe over amuse-bouche. 3. 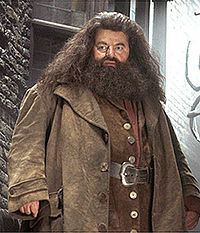 Hagrid: Even though we’d probably have to put up with Fang slobbering over our feet as he begs for scraps under the table, Hagrid would be a very entertaining guest, especially after a few drinks. He’s also a great person to know if you need to get hold of anything that might be a little bit dodgy. Hopefully he won’t bring any blast ended skrewts with him, but I’d love to meet Buckbeak the Hippogriff and learn a bit about where to find magical creatures. 4. Actress Eva Green: I have a bit of a crush on Eva and love every character I have seen her play, Artemisia in 300, Serafina Pekkala in Golden Compass, Vespa in Casino Royale, Vanessa Ives in Penny Dreadful… She is an incredible actress and oozes class and cool. Maybe she could give me some lessons! If anyone can keep Nanny Ogg in order, I’m sure it would be her. I won’t be asking her to participate in a séance though! 5. 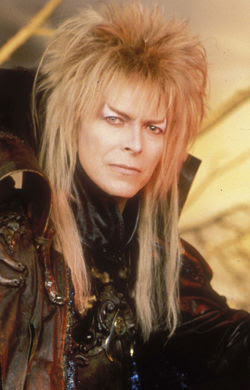 Jareth the Goblin King from Labyrinth: Because… Bowie! Jareth might be arrogant and duplicitous, but I think the poor guy could use a break from hanging around with goblins all day. I’d be certain to claim first dance with him during the masquerade ball part of the evening, although I might have to fight off Nanny! 6. Tiffany Aching from Wee Free Men: Tiffany is a very practical no nonsense character with some very interesting friends. There would be no need to invite the Nac Mac Feegle, as they go everywhere that Tiffany goes. 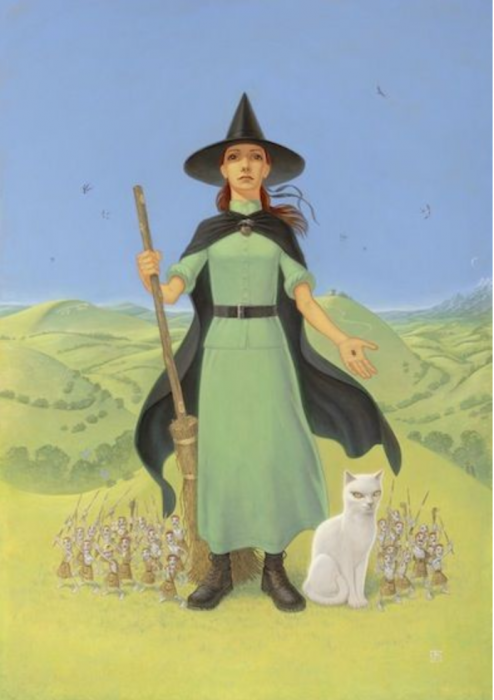 She would have to keep an eye on them to make sure that they don’t run away with all the scumble and food while she’s telling us about her adventures on the chalk of the Discworld. 7. Artan the flying, talking bearskin rug from my book, Alfie Bloom and the Secrets of Hexbridge Castle: Okay, so Artan doesn’t exactly need to eat, but I’m sure Hagrid, Queenie, the twins and Matilda would find his puns hilarious. Plus he could take us all out on a night-time flight to the Eiffel Tower after dinner. 8. 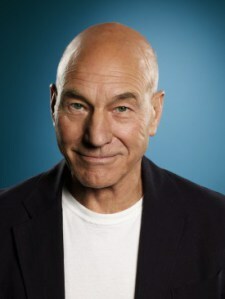 Patrick Stewart: He could come as himself, Jean Luc Picard, or Professor X, I love them all! His witty repartee would keep us all entertained and he would add an air of gentility to the party, until Nanny’s dirty stories begin. He has a great singing voice and might even be able to make her songs sound slightly more classy. 9. 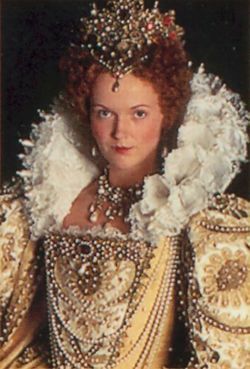 Queenie from Blackadder: I was obsessed with Queen Elizabeth I when we studied the Tudors in juniors, her unbelievably strong character, flaming red hair and elaborate clothes. Apparently she was very intelligent and witty. Queenie has the hair, clothes and shrewdness, but not quite the same level of intelligence. However, she has a wicked sense of humour and the stomach of a concrete elephant, very important for Nanny’s scumble! 10. 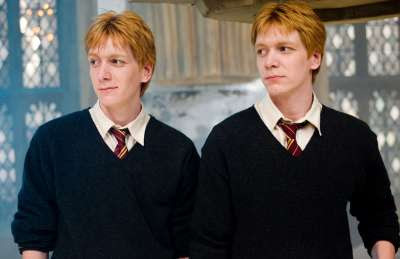 Fred and George Weasley: We’d have to be very careful with those two around. I wouldn’t want a puking pastille slipped into my soup, or nosebleed nougat in my jelly. They could put on a magic show after dinner, and bring some Peruvian Instant Darkness along on our flight on Artan, just in case we need to make a quick getaway from monsters in the sky! Alfie Bloom's life is dull. Dull and lonely. All of that changes when he is summoned to the bizarre offices of mysterious solicitor, Caspian Bone, where he inherits a castle full of wonders that has been sealed for centuries. Alfie is astounded to learn he was born in that very castle six hundred years ago during a magical timeslip. There, Orin Hopcraft, the last of the druids hid an ancient magic inside him, which others seek but should never be used. 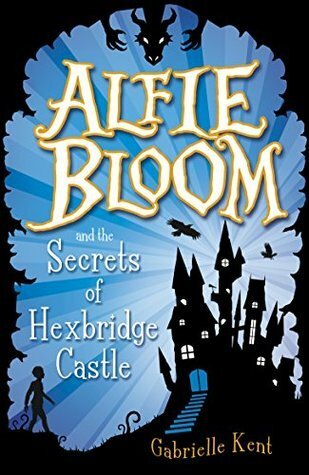 With the help of his cousins Madeleine and Robin, a shapeshifting solicitor and a flying bearskin rug Alfie must keep the magic from terrifying adversaries and ensure that the secrets of hexbridge castle stay secret, forever! What a crazy night that would be!